Welcome to The Impact Circle! Your home base for growing your wellness business. In The Impact Circle, I’ve pulled together the best aspects of ALL my offerings—business coaching, masterminds, virtual communities, webinars, and online trainings—to create a HIGH VALUE, uplifting, one-stop shop for learning, connection, support, and GROWTH. who are all committed to each other’s success. Mentoring from someone who has the experience to guide you. A wealth of valuable resources to help you grow. A trusted and supportive tribe who always has your back. You want to grow your yoga / fitness / wellness business, make more money, and impact more people… but you don’t want to invest thousands of dollars in private coaching. You crave community and support from other like-minded holistic professionals … but you’re tired of the competitive mindset that keeps some practitioners from helping one another. You want help from others who have built their own successful business … but you have no idea where to go and wish there was just ONE space that provided everything you need. You love what you do, and things are going well… but you’re hungry for new ideas and fresh inspiration. However these feelings and frustrations show up for you, I understand, and have either experienced them myself or heard it before from hundreds of my business coaching clients over the years… which is exactly why I created The Impact Circle. PRIVATE one-on-one coaching from me! Have questions about your next marketing step? Not sure how to choose your niche? Experiencing fear or stress around putting yourself “out there”? Curious about how I did certain things inside my own business? One of the most valuable aspects of your membership is your private online coaching conversation with me, where you can ask me virtually anything and I’ll respond. This is the most cost-effective way to receive my individualized coaching and start fast-tracking your business growth. I love the Impact Circle. It’s been incredibly helpful for me to get focused after a long time of feeling very scattered. The private coaching is especially supportive. I’ve taken a few business courses from other coaches and got more out of a brief coaching conversation with Laura than most of the courses combined. That alone is well worth the investment. Participation in The Impact Circle private Facebook group. This private discussion area is our community and communication hub. Here you’ll find a group of experienced, friendly, wise, and helpful, holistic business owners right at your fingertips—any time, for any need. Wondering which email platform to use? Learn what others recommend and why. Need a project collaborator? Post in the group to find the right person. Have an upcoming event you want to promote? Ask other members to help spread the word. Need an accountability partner to check in with? Pull from our amazing community. Not sure how to reach more people? Get ideas from other business owners. You’ll also benefit from our “Generosity Circles,” where members can make specific requests of others in the circle, and receive suggestions, recommendations, and connections to help manifest their dream projects and reach their goals. It’ time to step out of the mindset of having to be a lone wolf—creating a thriving business all by yourself—and into the power of community with other health and wellness professionals! How to build your private online clientele. How to create a stellar group program. How to get free PR for your business. Yes, this training is applicable to virtually any type of health, fitness, or wellness professional – not just yogis! Click here to learn more about this program. Access to private members-only training events. These trainings will keep you inspired, help you learn new skills, identify new opportunities, and eliminate the business roadblocks that are slowing you down. EVERY Past and Future training! Over the years I’ve created a library of webinar trainings designed to enhance your teaching skills and boost your business. These include a wide array of expert guest speakers that you won’t want to miss! You’ll receive access to all existing webinar trainings for free as part of your membership (29 and climbing! )—along with any and every upcoming webinar that’s created—for as long as you’re a member. Additionally, you’ll get organized access to all my relevant Facebook live videos, making it easy for you to find what you need at any time! Helpful worksheets and PDF resources for growing your wellness business. Faster results. Bigger impact. Enjoy your life more. Only $249 for six months or $459 for a full year! So how much is it worth to you… ? To have the level of reach and impact you desire? To have a level of income that allows you to grow more, serve more, and LIVE more? To have a library of educational and transformational content right at your fingertips? To have a tribe of like-minded professionals who support and nurture each other, as well as share opportunities, tools, resources, and their network? To have direct access to a mentor with over 18 years experience building successful businesses in the yoga, health, and wellness industries—for herself and hundreds of clients? To have ONE HOME BASE for all of this?! When you’re able to truly uplevel your business and impact, the personal, professional, and financial returns far exceed any price tag we could set. It’s priceless. The Impact Circle is a $8,000+ value, but I’m offering it to you for less than the cost of a daily chai at Starbucks. Only $249 for six months or $459 for a full year. The Impact Circle is NOT for everyone. This community is grown intentionally, with a commitment to staying small, effective, and filled with awesome members! I want each participant to receive optimal value, make fantastic connections, and feel supported. For that reason, THERE IS A CAP on the number of people who can join at any one time, and the window to join is not always be open. 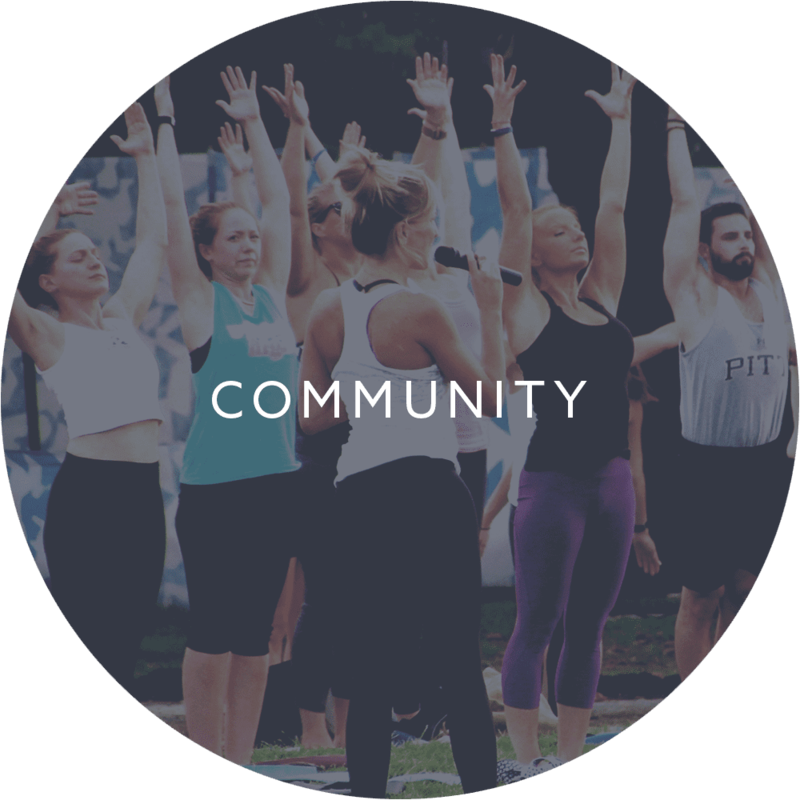 Beyond the limited number of spaces, though, this is about creating an engaged, supportive, and focused community of like-minded holistic professionals. A yoga, fitness, or wellness professional, who wants to exponentially make a positive impact in the world—for yourself, your clients, AND your colleagues. Looking to be a part of an ACTIVE AND GENEROUS COMMUNITY—which means you want to participate and GIVE as much as you RECEIVE. Wanting access to a trusted and experienced mentor (me! ), as well as other high quality colleagues, content, and resources, at a reasonable investment. Wanting to save time and money by learning from the mistakes and best practices of others in your field, plus you’re looking for more wisdom and teachings from Laura. AND, you’re willing to share your own lessons with others! Committed to both personal and professional growth, have a high level of integrity, and like to have fun. Hi there, I’m Laura Kupperman, C-IAYT! If we’ve never met before, you might be wondering who I am and why I’m so passionate about creating this membership community for holistic practitioners. The short version is that I’ve been a Career and Business Coach since 1999, helping health and wellness professionals launch or grow their business. I’m also a successful Certified Yoga Therapist myself, specializing in yoga for cancer survivors and yoga for fertility enhancement. 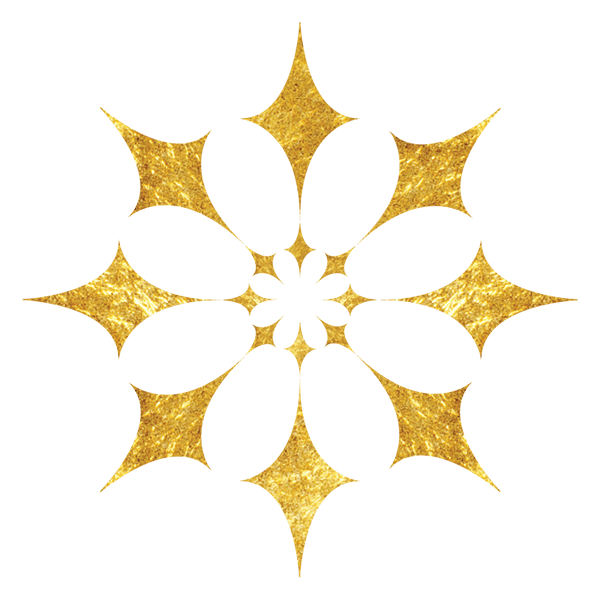 I’m on the faculty of Inner Peace Yoga Therapy, and have launched many fruitful yoga ventures locally, nationally, and internationally; as well as created online offerings and a comprehensive online business training for yogis. I have presented at a variety of yoga and medical conferences, and have been a successful yoga professional for 16 years. Finally, I’m someone who loves to encourage others to dream big and then empower them with the skills they need to achieve their dreams. The Impact Circle is my way of supporting those of you who want to play a bigger game and make a bigger impact in your community. I want you to know that you CAN do this, and I want The Impact Circle to help you get there. How is The Impact Circle different from your free Facebook groups? In our free Facebook community, we provide a limited (albeit still excellent!) level of content and support. The Impact Circle gives you a far stronger foundation, a more focused community, and access to a wealth of training materials that will help you grow your business. 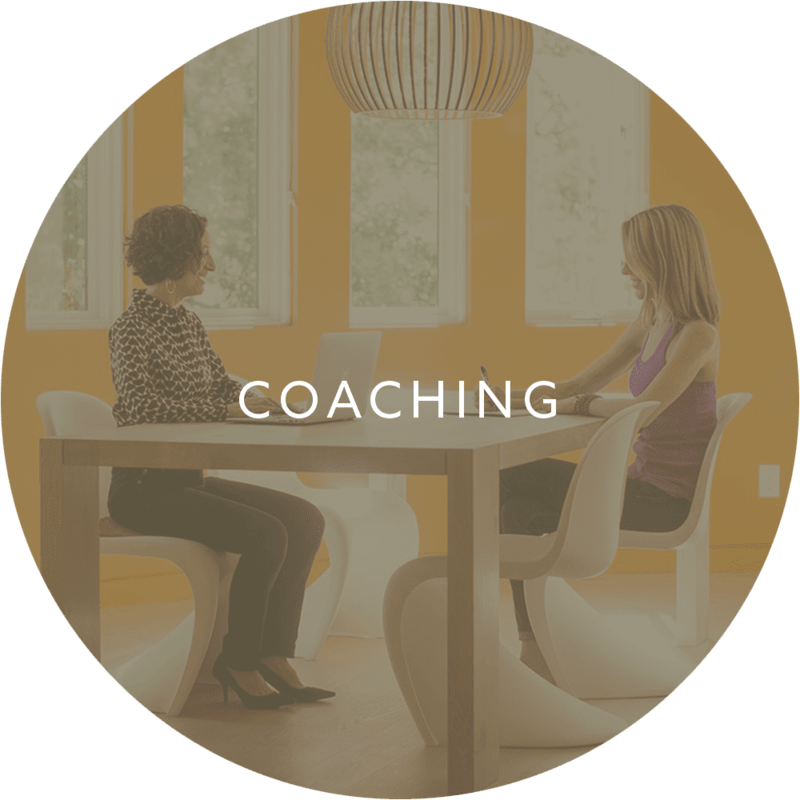 PLUS, you get access to private one-on-one coaching support with me. Are there things that will happen in the private Facebook group that aren’t available in your Facebook groups? Yes! One of the most exciting things about The Impact Circle is that we actively encourage you to post some of the things that are off limits in my free groups. For example, in the Circle you will be able to ask for support in promoting your own events, seek collaborators, and much more. That being said, you should not join The Impact Circle if your primary focus is self-promotion. How is the Impact Circle different from other programs? I don’t know if I have time for one more program?! Here’s the thing: the Impact Circle is not a program. 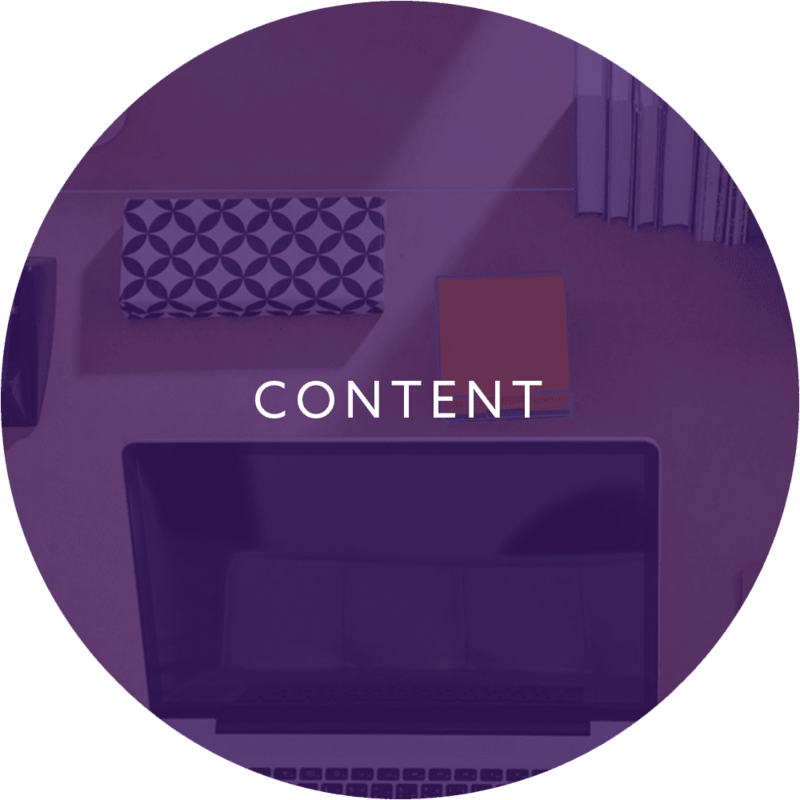 Most programs feel like a sprint in which you have a certain amount of time to get through the content. The Impact Circle is NOT a sprint – it’s not even a marathon. It provides you with all the tools you need (in ONE place! ), to develop healthy professional habits. All of us need resources we can draw on when we need them. All of us need a trusted mentor and peers to support us. Just like you might have gym membership that you continually renew to sustain your physical health, I am a firm believer in also maintaining high value professional memberships to sustain your business. So there’s no pressure to “complete” anything on a tight timeline here, nor is there a finish line . . . just drop in as needed and we’ll be here for you. Some of the content seems to be more geared toward yoga professionals; do I need to be a yoga professional to join? You can join if you’re a professional in any health, fitness, or wellness field, and believe that you and the Circle will be a good fit for each other. That includes acupuncturists, personal trainers, health coaches, nutritional therapists, and others. Because my background is in yoga, some of the content was indeed created with yogis in mind, but most of it applies to other practitioners. Content aside, though, the current IC members are all people who believe in “cross-pollination” and understand that collaboration with other types of professionals can accelerate business growth. Not sure if this is right for you? Click here to contact me now. I’m happy to help determine if this is the right fit for you. I’m just starting my business / I’ve been in business for years—is this for me? YES. The Impact Circle is for health and wellness professionals at all points in their career, all levels of experience and business. Whether you’re brand new, want to pivot or expand, or have plateaued at a certain level… you’ll gain SO MUCH from this experience, and you’ll be able to move into the next level of your business—whatever that looks like for you. Remember that everyone in the group has something valuable to offer, whether that’s helping you review a lease agreement, volunteering to proofread your blog post, or connecting you to a potential collaborator. Is there an application process? There is an agreement you will need to read and opt-in to, in order to join. The agreement should be read carefully and taken seriously as it will help you ascertain if The Impact Circle is truly a good fit for you. What’s your refund policy? There are no refunds, so if you’re on the fence I suggest starting with the six month commitment. How does the private coaching work? This is one of the best features and best ways to get value from The Impact Circle! Each member will have a private conversation message thread with me via email, where you can ask me virtually any business related question you’d like! As long as you ask me one question at a time and concisely present your query, you can expect a thoughtful reply from me within a week – often much sooner. Examples of topics you can ask me about: your business model, your pricing, your niche, your marketing, your offerings, tips and tools. Remember that I will also be engaged in the Facebook group, so you are encouraged to post regularly there as well! I love being part of the Impact Circle. The members of the community are supportive, savvy and super engaged. We have opportunities for everything from getting quick feedback on a postcard design to helping each other strategize our offerings to accountability for our most important activities. Not only do we have access to Laura for coaching, but the quality and depth of feedback we get and give to one another is very special. I feel like I’m a part of a circle that will continue to grow and thrive, and that my work has the support of each member of the Circle. I have loved the Impact Circle and all the support I’ve gotten from people who are also just starting their businesses to seasoned experts. With their advice I have been able to feel comfortable stepping out of my comfort zone and promoting my business, and providing new offerings for my students. I highly recommend joining Laura’s Impact Circle group. The Impact Circle came at the perfect time for me and right from the start Laura inspired me to put myself on a 6 month growth plan. Working in community with like-minded professionals who so generously offer and share from their experiences is HUGE. I am filling in my business learning gaps through accountability and strategic action steps – and that feels great! I joined the Impact Circle with a one year vision in mind, and recently I got a vision for a 4-5 year plan, which has never happened before in terms of strategy. I’m executing and taking action in more strategic ways, and imagine this community will be my biggest support this year. Thank you Laura Kupperman. The community of support, experience and encouragement has been inspiring and just what I needed to take the necessary steps forward. This collection of like-minded professionals who offer support, encouragement, and advice is so helpful! The different paths and perspectives help me broaden my own. I feel part of a community, which is so necessary on this entrepreneurial journey! And we are all responding to your spirit, intelligent guidance, and generosity . . . thank you, Laura! Working in Laura’s groups isn’t just inspiring, it’s practical. She is able to respond to individual needs by offering so many different, viable avenues to approach them. If one method doesn’t resonate with you, no worries. She has a dozen other ways to look at a problem, explore opportunities and overcome obstacles. Laura puts great people together so that we can all learn from each other’s wisdom. She guides with care and intelligence, first letting each person’s presence shine brightly, then dropping her invaluable gems of genius on us. I feel so appreciative of Laura’s support. Participating in Laura’s group is inspiring and motivated me to reach my goals. I benefit greatly from sharing my work with colleagues, and find everything to be top notch. Personal and caring. Skillful and strong. Join us! Working with Laura and the group helps me stay clear and on track with my business and provides a loving and supportive community of friends and colleagues. It’s the perfect mix of solid business guidance and powerful cheerleading!